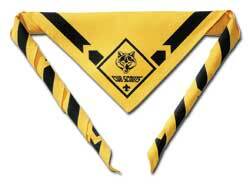 WEAR YOUR SCOUTING UNIFORM !!! Look at the "Scoutstuff.org" BSA website to price your scout's uniform. 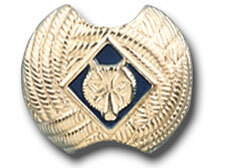 All appropriate Scout insignia must be appropriately attached to the Scout uniform (refer to your Scout handbook or to your den leader).Wear your uniform to all Scout activities (see below when and when not to wear your uniform).Keep your uniform clean and neat -- hang it in a closet or fold it in a drawer or on a shelf. When you attend den meetings and pack meetings. When you go on campouts and other den activities. When you participate in den service projects. During Scouting's Anniversary Week in February. When you are involved in any distinctly political activity. When you are appearing on the stage professionally. When you are participating in demonstrations not authorized by the Boy Scouts of America. 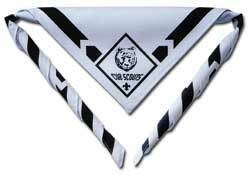 Hats - For our pack the tiger, wolf, bear, and webelos hats are optional. Our pack understands that unforming a scout can be expensive, and since the hat's change every year, we have made this an optional accessory. 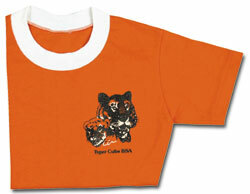 Tiger Cub Scouts join Pack 317 with an orange Tiger Cub t-shirt that should be worn to all Scout activities to show their Tiger Cub pride. 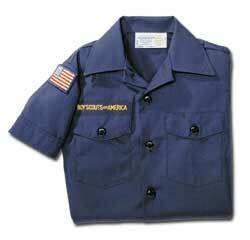 Webelos may wear either the blue uniform you wore in Cub Scouts or the tan shirt you will wear as a Boy Scout. You and your family decide which on you will wear. 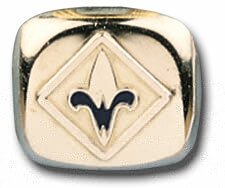 Temporary patches (for example: scouting for food, family camping) can be attached to the uniform shirt for one month after the award. These patches are not to be permanently placed on the uniform. 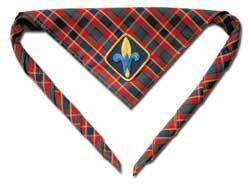 Scouts can make or purchase the "red patch vest" that the non-rank patches can be affixed. As an alternative, scouts can make a scrapbook of their "temporary" patches.